Your credit score is more important than you know. Here's five tricks to fix credit fast. Are you tired of getting turned down by banks for the money you need? Want to get the financial respect you deserve? It’s all in your credit score, that little three-digit number that determines how much money you get and how much you pay each month. Your credit score is more than just getting a loan. It affects your car insurance premiums and can even keep you from getting a job. 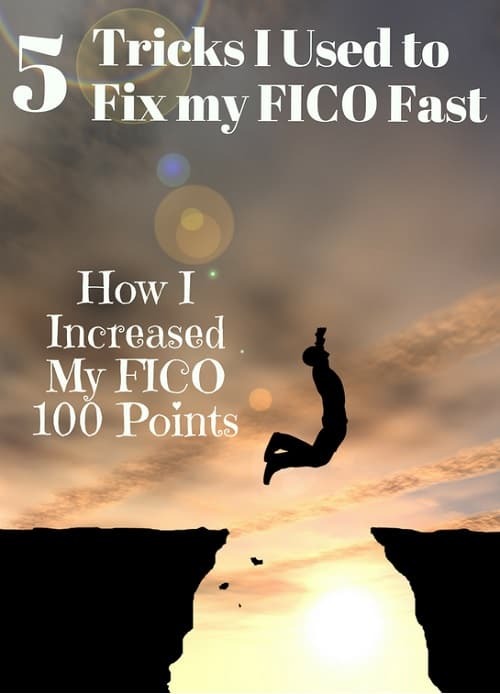 I’m going to show you 5 tricks I used to boost my FICO score by more than 100 points, get the money I needed and the rates I could afford. These credit score hacks will boost your FICO and will get you better rates so don’t go anywhere. Click through to subscribe for more free money tips. It's free and you'll never miss a video on beating debt, making money and making your money work for you! My credit score bottomed out at 560 in 2009. It started with a few missed mortgage payments on rentals and ended in bankruptcy. I couldn’t get a loan for a car, a roof over my head, I couldn’t have gotten a loan for a stick of gum. When I did start getting credit card offers, they were for interest rates of almost 30% a year. Fast forward just a few years later and my credit score was over 700 and I was back to getting the money I needed at interest rates I could afford. So that didn’t happen overnight but it did happen. Anyone that says you can increase your credit score by hundreds of points in just a few months is probably trying to sell you their lame credit course or some other crap. I’m going to share with you the truth about boosting your credit score, the most powerful tricks I used to rebuild my FICO. First, Why should you care? A lot of people will tell you to just pay cash and don’t use debt. The debt-free lifestyle is popular right now so why do you need a higher credit score? Almost everyone needs credit at some point. Are you going to pay cash for your home? Do you have ten grand sitting around for a car? Debt isn’t bad, it’s just a tool you use so learn how to use it as part of your financial plan. More than getting a loan though, your credit score affects a lot of other parts in your life that you might not know about. Insurance companies are allowed to charge people with bad credit higher premiums, something called credit-based insurance. Landlords and employers both pull your credit report when you apply to rent or for a job. So having a good credit score is extremely important even if you don’t plan on getting a loan. Is debt the problem? It is for most people. Too much debt will not only wreck your credit but keep you in a financial hole forever. I created this 11-part video series on crushing your debt from easy budgeting tricks to ways to ditch your debt fast. Watch the video series on YouTube and Get Free of Debt! So let’s look at five credit score tricks guaranteed to boost your FICO. I’ve tried these hacks and have seen others use them, they work. The first credit trick is getting bad marks taken off your credit score. You’ve probably heard that you can get errors taken off your report by writing in to the credit bureaus but this also works sometimes for legitimate bad remarks. You have a right to get your credit report free once a year from each of the three credit bureaus. Check your credit report and look for missed payments, charged-off loans, anything that is going to hurt your score. Then you write a letter to each credit bureau saying you would like to dispute the remark, like you don’t remember missing the payment. By law, they have to follow up with the creditor or whoever put it on your report. This works best for old credit accounts that have since been closed. These companies don’t care what’s on your credit report anymore. They’re less likely to even take the time to answer the dispute letter from the credit bureau. If they don’t answer it, then the bad remark gets removed from your report and your score jumps. This sounds crazy, especially if you’re struggling with debt but it tricks lenders into thinking you are a better borrower. There’s a thing called your credit utilization ratio, it’s just a way to say how much you owe and how much credit you have available. Understand this isn’t an excuse to run out and buy more stuff with your new higher credit limit. It’s just a way to boost your credit score but you still have to pay down the debt you owe. I used this as one of the first things I did to increase my credit score and it works. The idea is that you have a bunch of small debts; credit cards, personal loans, car loans, whatever. First, you have to keep all these bills straight or you risk missing a payment and destroying your credit. You also have to worry about super-high interest rates that come with these kinds of debt. So you take out one loan to pay them all off, you consolidate them into one bill. I lowered my interest rate from an average of 18% on five different debts down to 13% when I did this and saved more than $500 a year in interest payments through a loan from PersonalLoans. Consolidating your debt will help you keep track of payments and pay off the debt faster because you’ll have lower monthly payments. The real credit score boost comes from something else though. 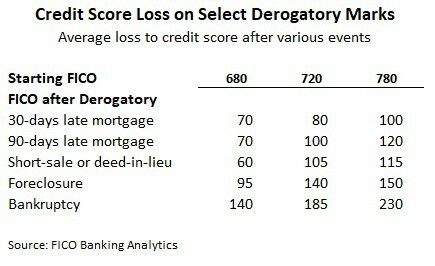 You see, lenders see the types of credit on your report. Credit card debt is called revolving debt because it’s like a revolving door, it just keeps you going around and around. You don’t have a fixed payment or a payoff date. This kind of debt really hurts your credit score. Consolidating your debt into a personal loan changes it to non-revolving debt. Personal loans have a fixed monthly payment and a payoff date. Lenders see this and know that you’re getting your finances back on track. You build up that good credit history with your payments and your credit score increases faster than just paying the original debts down. This is a great alternative for the bad credit marks you couldn’t get removed with the first trick. As you know, missed payments and other bad remarks on your report are the worst thing for your score. I mean, those marks on your credit report sink your score like a rock. Lenders really don’t care about your credit report. They want their money. If you are behind on a loan or have one charged off, you’ve actually got a lot of power over the credit companies. This is actually what the debt settlement companies do but you can do it without using their expensive services. Call up anyone that has a bad remark on your credit report, the ones to whom you still owe money. Tell them you’ll pay them off completely within so many months if they promise to remove the bad remark from your credit report. They might say it’s impossible to get the mark removed but that’s a lie. Things get removed from credit reports all the time. Tell them you are talking to all your creditors and the ones that agree to work with you will get paid off first. Make sure you get any agreements signed and in writing. Then go through with your end of the deal and make sure they go through with their end. Be tough in your negotiating and you’ll get the respect you deserve. Whenever you apply for a loan, it goes on your credit report even if you get denied for the loan or decide not to take it. It’s never a good idea to have a lot of these inquiries on your credit report because it looks like you’re scrambling for money. It’s also a bad idea to close credit accounts before you go to apply for a new loan. Closing credit cards, even if it’s the financially-responsible thing to do, can actually cause your credit score to drop. So for at least six months before applying for a loan, don’t close any credit accounts or apply for other loans. It might be hard to do this if you need money fast and can’t plan ahead but a good rule of thumb is just to not apply for a loan unless you need the money. I understand the rush. When you need a loan, you usually don’t have time to wait even a month to boost your score for better rates. You need a higher score now so you can apply for a loan tomorrow. I am going to share a few credit tricks that work overnight but these won’t all work every time. The problem with trying to raise your credit score overnight is your FICO is based on your credit report. That means anything you do to increase your score first needs to affect your report and the people that manage your report don’t always move that fast. That said, there are some ways I’ve seen to boost your score and even by as much as 100 points overnight. Asking your mortgage lender to dispute negative marks on your credit. When you dispute claims, creditors have 30-days to respond. When a lender does it, the time allowed is shortened. Pay down your credit cards to under 20% of your available credit. The credit scoring system hates high utilization ratios. It means you’re losing money in interest plus getting maxed out on your cards. Pay off your credit cards completely. This works with any type of revolving debt like a HELOC or other lines of credit. Revolving debt is the worst kind of credit for your score so paying it off will boost your FICO fast. I’ve seen all three of these lead to a 100-point increase in a FICO score overnight. First it was when I was coming out of my own credit nightmare and was able to pay off my credit cards with a personal loan. The next time I saw it work was when a cousin was applying for a home loan and had their mortgage lender dispute three negative marks on their credit report. In fact, two of these tricks were critical in how I increased my FICO credit score by 200 points after my credit nightmare. Even if they don’t work overnight, all three of these credit tricks will boost your score by triple-digits. Some of it depends on when the credit card company reports to the credit bureaus that your debt has been paid off but that’s usually two weeks wait at the most. Time it right and you’ll get an instant boost in your FICO and get lower rates immediately. Apply for a debt consolidation loan to get your credit back on track – shop your loan for better rates here. Try these five credit score hacks over a few months and I guarantee you will see your credit score jump and the interest rates on new loans drop. Just as important as fixing your score, make sure you protect it because it's a lot easier to ruin your credit than it is to build it back up.